Click on the 'settings' slider icon near the top of the pal list. Select the 'general' section from the left side of the settings pane or window. Click on the 'log out' button on the right pane. 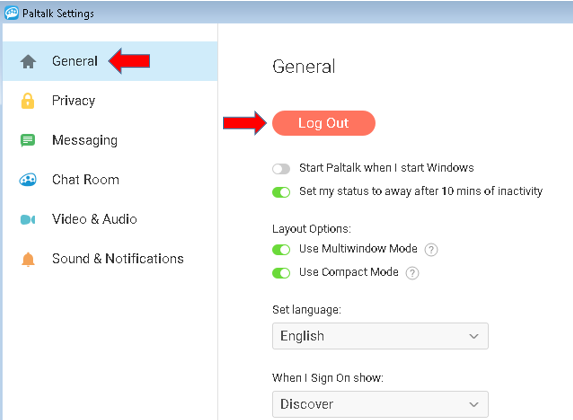 You will be logged out of Paltalk and will be returned the login screen. From there you can pick a new user name to log in with, or close down the app. To close the app click on the 'X' at the top right of the login screen and follow the prompt to exit.